Home » All Posts » Who’s on the Cover of Experimenter? 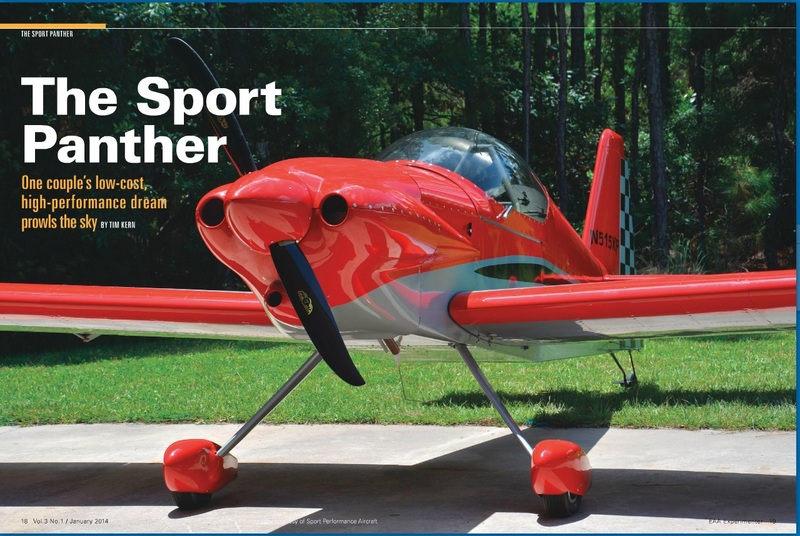 We are so thrilled to be on the cover of EAA’s Experimenter this month! Click below to see the online magazine or the PDF. There is also a side bar written by Paul Salter about 3D printing as well! Excellent article! Congratulations. With press like this things are going to be even busier. It’s may start to feel like you guys are victims of your own success. What a beautiful plane, I love it. I can’t find the 8 minute video you posted from Sebring, where do I look? We had some technical difficulty with that video so we are repairing it (trying to). I just read it over lunch. It is a very up to date article by Tim Kern with good info about the Panther and Dan and Rachel. 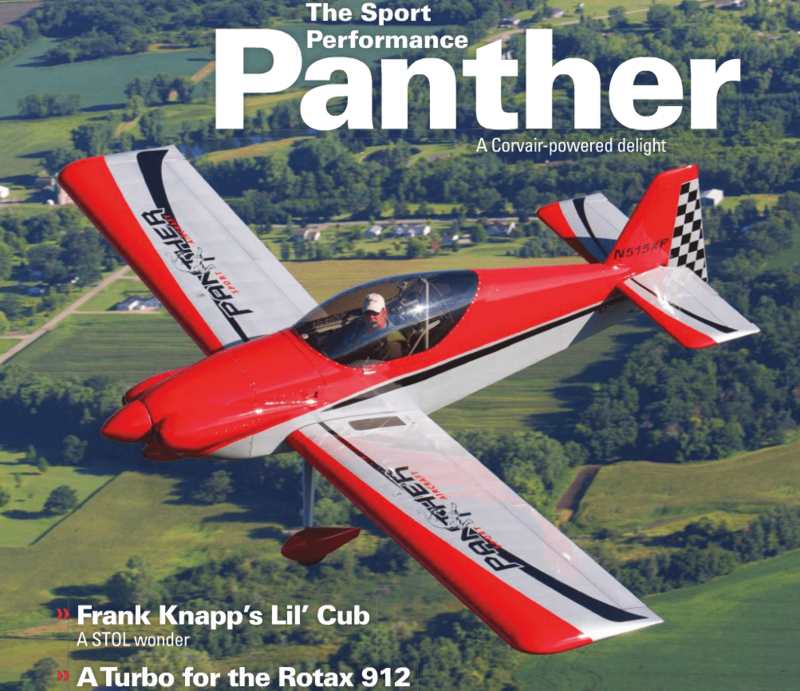 Along with Paul Dye’s article in Kitplanes we have some good overviews of the Panther. When the Cougar plans are ready we’ll want to buy a set. I get a good feeling when good things happen to good people. The Panther was used for the front cover because it met all the requirements of design , engineering, comfort, and amazing price. ← Sebring 2014 Was Awesome! See Photos..